A. Marvel Studios: Guardians of the Galaxy, Captain America: The Winter Soldier, Thor: The Dark World and more. B. Disney-Pixar Animation Studios – Monsters Inc., Up, Wall-E and more. C. Disney – Frozen, Wreck-It Ralph, Cars, The Jungle Book, Cinderella, and more. 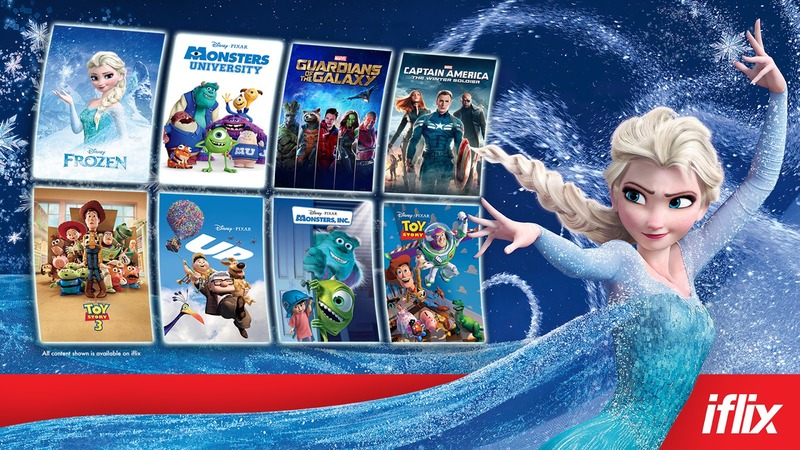 Beyond movies, Disney will also make many of its most iconic and beloved children’s content available for young viewers and families to enjoy, including Disney Junior’s Sofia the First, Disney Channel’s Star Wars Rebels and Disney XD’s Guardians of the Galaxy. 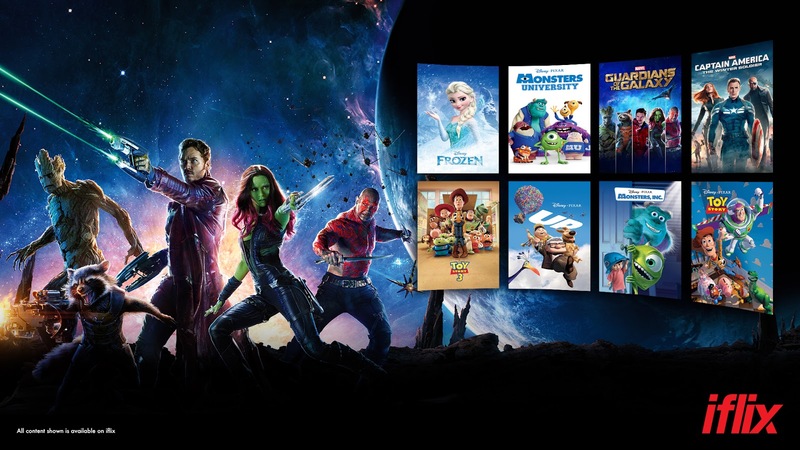 Finally and even better news, all new titles will be available to stream in HD format with upgraded audio to make that Disney experience all the more magical. Now available to over one billion consumers across 20 territories throughout Asia, the Middle East and North Africa, iflix will make its world-class service available in Sub-Saharan Africa in the coming weeks. For new subscribers, iflix offers a complimentary one-month trial with full access to its service, features, and content. Go to www.iflix.com to register.